^ Maine League of Historical Societies and Museums (1970). Doris A. Isaacson. ed. 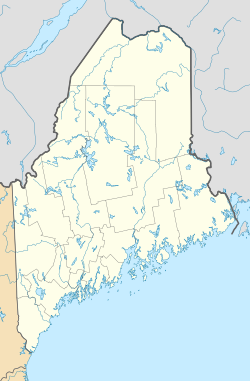 Maine: A Guide 'Down East'. Rockland, Me: Courier-Gazette, Inc.. pp. 392–393. ^ Annual Report of the Bureau of Industrial and Labor Statistics for the State of Maine, 1897. Augusta, Maine: Kennebec Journal Print. (1897). p. 52. ^ Annual Report of the Bureau of Industrial and Labor Statistics for the State of Maine, 1910. Augusta, Maine: Kennebec Journal Print. (1910). p. 37. http://books.google.com/books?id=TF1KAAAAMAAJ&lpg=PA37&ots=AWLO3L3CBm&dq=%22eastern%20manufacturing%22%20brewer%201889&pg=PP1#v=onepage&q=%22eastern%20manufacturing%22%20brewer%201889&f=false. ^ “アーカイブされたコピー”. 2011年7月26日時点のオリジナルよりアーカイブ。2010年3月15日閲覧。 , accessed March, 2010.